This minty green drawstring bag has a metallic gold writing "Baby's Clean Clothes" and it also has a tiny mark in the fabric, at the front. 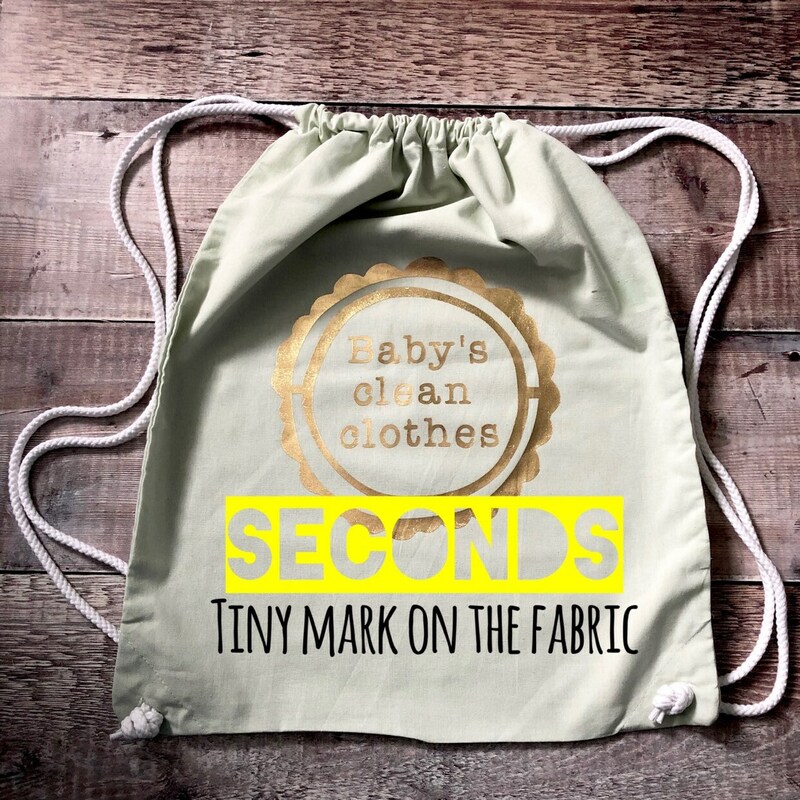 The bag isn't faulty, it only has this small cosmetic mark and as such is sold as seconds. International orders will be by Royal Mail standard air mail. Please note that whilst Royal Mail estimates delivery time for international orders approx 7-10 days, items can be held in customs which can significantly delay the delivery. 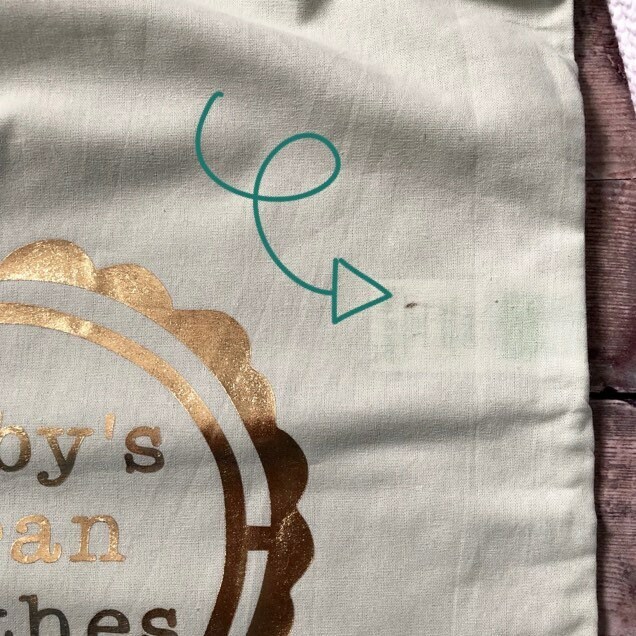 This listing is for changing bag/wallet only, any props used in the pictures aren't included.